One thing that seems to cross international lines with success is baking. I never visit a country without sampling their baking. I visit bakeries, and enjoy everything from French croissants and hearty German breads, to Indian naan breads and bagels in Brooklyn, Montreal, and Jerusalem. I sometime trek out to Vandermeersch for their amazing kouglof (as they call it), but found out the hard way that they were only available on weekends. Although a visit to the Vandermeersch website more recently revealed that they’re making them daily. 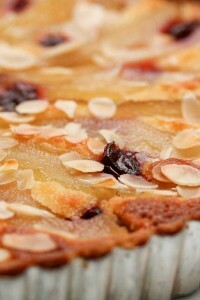 Which goes to show that not only can recipes and blog posts be updated, but kouglof availability can be, too. Speaking of which, after watching Jacques Pépin talk about how recipes can vary depending on a number of factors, I also forgot to add to his words that recipes change. Sometimes we make something (or at least I do), then years later, when we revisit it, we make changes. That’s what happened with this recipe. I’d published it on the blog way back in 2005 and the photos were taken on a point-and-shoot camera. Fifteen years later, they looked like they were printed out on a dot matrix printer. (They’re at the end of the post if you want to scroll down and take a look.) As you’ll see, it was time for a refresh. Back then, I’d picked up an earthenware kugelhopf mold. 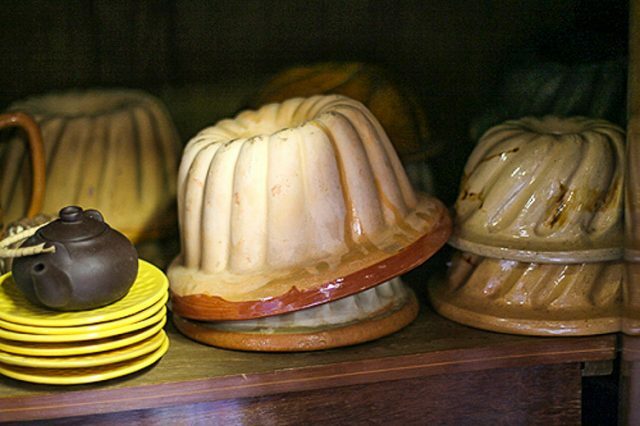 They’re fairly easy to come by at flea markets in France, since I think people buy them with good intentions – like madeline or cannelé molds – but after giving them a go, they get relegated to the back of the kitchen cabinet, only to be sold at flea markets a few years later. Which I know about, because I also let my kugelhopf mold go, too, when I was doing some apartment cleaning. But it gave me a chance to make one in a standard bundt pan, which was a question a number of people asked when I first posted the recipe and I didn’t have an answer. So now I do. And yes, you can. Kugelhopf is more like bread than a cake, and you can duke it out whether it’s one or the other, but either way, don’t expect it to be like a super-moist, sugary confection. 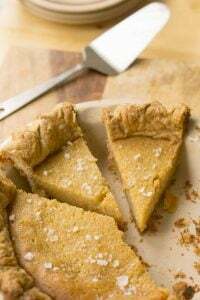 With just a few tablespoons of sugar in the dough, its decidedly on the less-sweet side. That said, I like mine moister, so took a tip from baker Dorie Greenspan and soak it in a syrup imbibed with rum or orange flower water. It seems like a lot of soaking liquid, but believe me, it’ll all soak in. Just keep brushing. Your kugelhopf may also be more sunny-colored than mine. Today was one of those dark winter days in Paris when the sun stubbornly didn’t want to come up. I woke up early to get the yeasted dough going, and when it was time to snap a few pictures, it was still disconcertingly dim outside. I tried to brighten things up with editing tools, but couldn’t capture the gentle golden color of the cake as much as I’d like. So I just might have to make it again, which I don’t think would be such a bad thing. Ideally, you want to use a high-sided Kugelhof mold or bundt pan that has a 6 to 8 cup (1,5-2l) capacity. I made it in a larger-sized bundt pan (10-inch/25cm) and it works fine, but the cake will be lower than a traditional Kugelhopf and will take less time to bake.I don't use instant yeast (nor did I use fresh cake yeast for this cake), but if you want to use one of those, check the manufacturer's website for instructions on substituting them for the active dry yeast. 1. Make a sponge by warming the milk over low heat in a small saucepan until it’s tepid. Pour into the bowl of a stand mixer, add the sugar, and sprinkle in the yeast. Stir in 2/3 cup (90g) flour. Cover with a kitchen towel or plastic wrap and let rise until bubbly, about 20 minutes. 2. 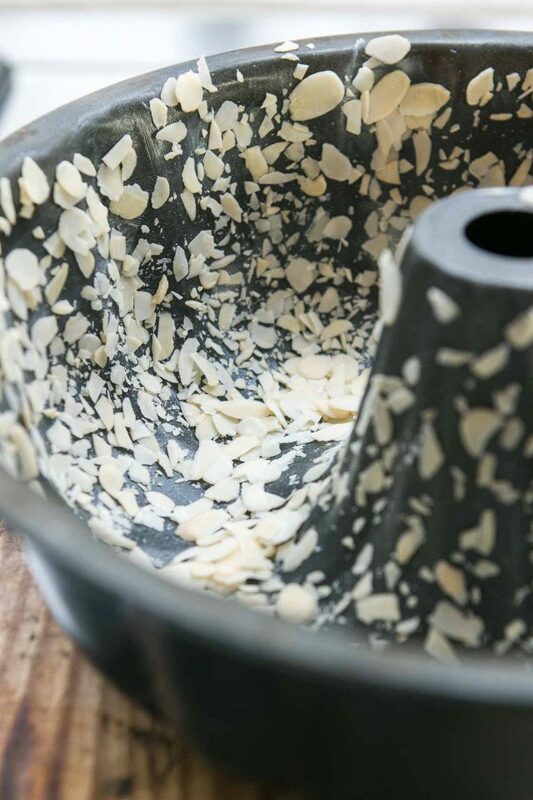 Butter the inside of a kugelhopf mold or bundt pan very well then scatter sliced almonds over the inside of the mold, pressing them in a bit and turning the mold so there is a relatively even coating of almonds. 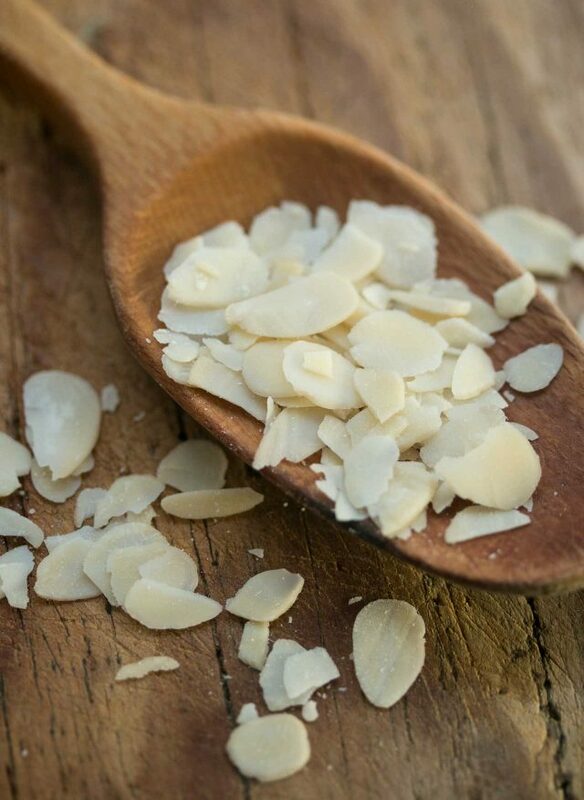 Gently tilt out any excess almonds. 3. 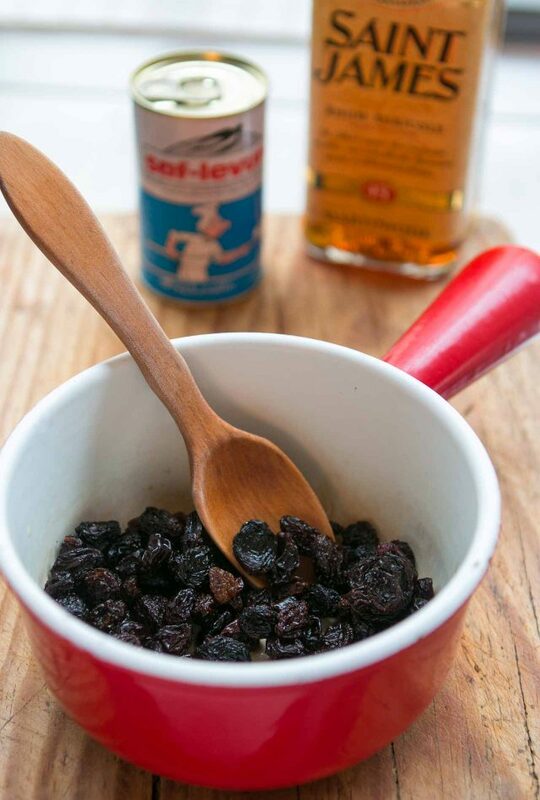 In a small bowl, stir together the raisins and the rum, and set aside. 4. Add the cubed butter to the sponge and attach the bowl to the mixer. Using the paddle attachment, beat the butter with the salt, citrus zest, and vanilla until incorporated. 6. On low speed, mix in the 1 cup (140g) of flour. Once the flour is incorporated, increase the speed to high and beat until smooth, shiny and elastic, about 3 minutes. 7. Beat in the raisins and any liquor in the bowl. 8. Cover the bowl with a kitchen towel or plastic wrap and let rise in a warm place until the dough begins to puff, about 30 minutes. 9. Make a hole in the center of the dough with your hands and stretch the dough out so the hole will be is large enough to go around the center of the kugelhopf mold or pan. Lift and transfer the dough into the cake pan. Make sure it's of even thickness all the way around. (A damp hand works well for that. )Cover the mold with a kitchen towel or buttered plastic wrap. Let rise until doubled, 1 to 1 1/2 hours. If using a kugelhopf mold, it should reach to the top, or almost to the top, of the mold. If using a larger bundt pan, it will likely take the maximum amount of time to rise. 10. Fifteen minutes before the dough is fully risen, preheat the oven to 375ºF (180ºC). Bake the kugelhopf until it’s deep golden brown across the top, about 40-45 minutes. (In a large bundt pan, the cooking time will be closer to 25 minutes.) When done, a toothpick inserted into the center should come out clean. Let the cake cool for 10 minutes. 11. While the cake is baking, make a glaze by bringing 1/3 cup of water (80ml) and 1/3 cup (65g) of sugar to a boil. 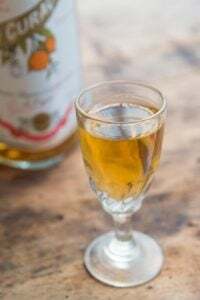 Remove from heat once the sugar is dissolved and add 1 ½ teaspoons of orange flower water or 2 tablespoons of rum or kirsch. Poke the kugelhopf 35 times with a skewer and liberally brush half of the syrup over the cake, repeatedly, letting it absorb.Turn the cake out of the pan onto a cooling rack set over a baking sheet (to catch any dripping syrup), and brush the rest of the syrup, repeatedly, over the top and sides (and the inside hole) of the cake. Cool completely before slicing and serving. Storage: The kugelhopf is better served the same day, or the day after it's made. Store at room temperature, well-wrapped. Here are photos from my previous post and recipe on Kugelhopf, which I updated above. 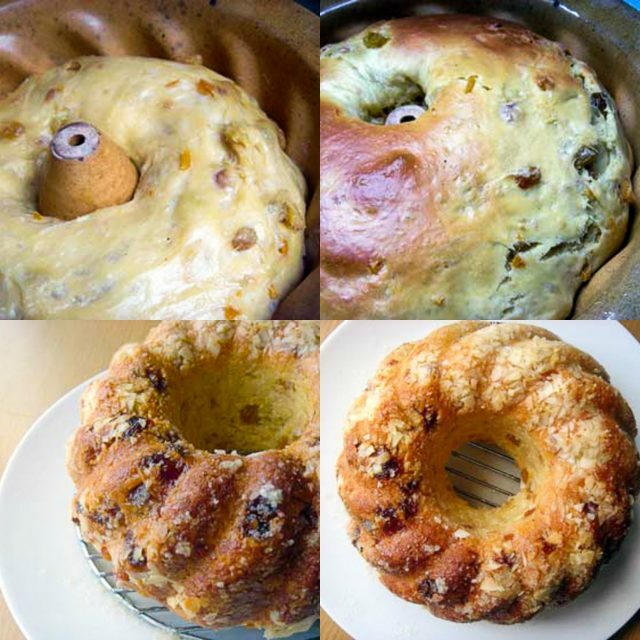 I used an earthenware Kugelhopf mold, although due to questions about whether a bundt pan could be used, I tested the cake in a one of those and used those photos in the post. What luck! I had just been looking in my own cookbooks, and on the net for a good-looking kugelhopf recipe to try in my new pan. It wasn’t going too well, so I took a break to catch up with my food blog reading, and voila! (as I believe they say in your neck of the woods). This looks lovely, and I will try it for sure. Can light rum be used for this without leaving too much flavour behind?? I don’t have any dark rum and don’t want to spend for a bottle for one recipe (I don’t drink THAT much). Still the best “explanation” of Thanksgiving is the classic Art Buchwald column about Le Jour de Merci-Donnant. Though I suppose you have to be American to get the jokes. Does the Trib still republish it every November? When I foraged for my first expat Thanksgiving in Paris, waaaay back when, it was virtually impossible to find a turkey–we roasted a pair of capons and felt lucky to score a can of Ocean Spray from the American commissary in the 18e. But I was vastly relieved to have an excuse to skip the sweet potatoes. I clipped some recipes from this book that were printed online a few weeks ago, and can’t wait to make them, but this Kugelhof looks better than all of them combined. Just in time for X-mas baking, too! Thanks for the recipe and glorious photos. Apart from that – fantastic site with lots of inspiration! 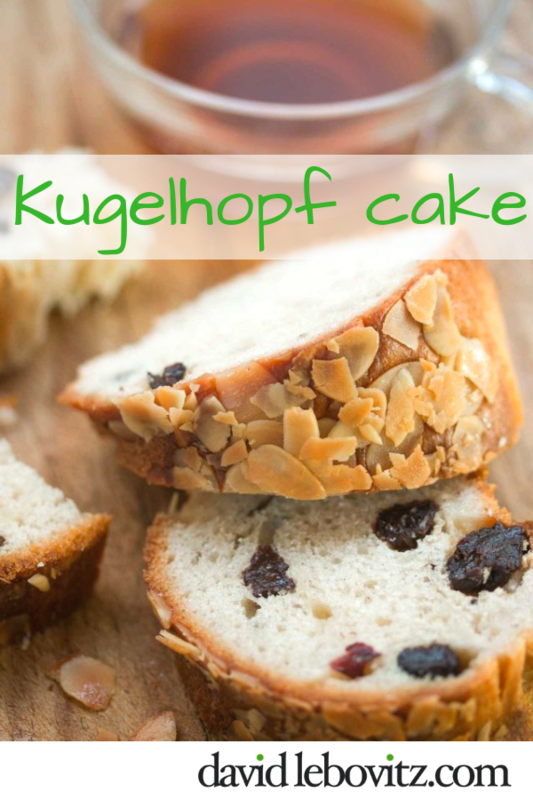 From what I’ve read, Kugelhopf comes from Austria, although I have read elsewhere that’s not necessarily the case and in France, it’s associated with Alsace. Yes, it’s true. 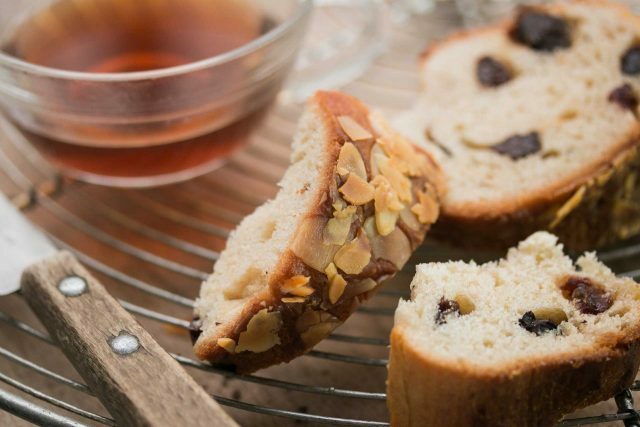 Gugelhupf comes from Austria, either as yeasted or marbled cake. Som slovenka a moja mama piekla tento kugelhof pod nazvom babovka. Odoberala cast cesta, kde dopracovala kakao. Plnilo sa biele cesto nato sa dala tmave cesto a navrch blede cesto.\ uklada sa to do formy\Po upaceni je to krasne farebne. I have no clue where it comes from originally truly really (and don’t care) but I can confirm that in Austria we call this Gugelhupf. This has been the staple cake of my childhood but typically simply done with have plain (yellow) and halve cocoa cake dough filled in a way to create a marble like pattern when cut. You mentioned bagels in this post. Having lived in Montreal, I know the difference between a Montreal bagel and a New York bagel, but I am not familiar with a Jerusalem bagel. I’d be most appreciative if you would explain. By the way, you can get great Montreal style bagels in Seattle. A fellow there apprenticed at St. Viater Bagels. This looks lovely David, I love kugelhopf and I used my bundt tin to make one in and it came out just as nicely. I find it to be a more flavoursome Panettone. Great recipe. David, maybe I bought your Kugelhopf mold when I was there. I’ve always wondered what it was used for. Now I can try it out. Looks excellent…may have to make for my BDay cake! Curious as to what was updated in the recipe from the time you wrote it before. I recently purchased a Bundt pan and it’s been unused so for. I’ll want to use as much rum as I can. 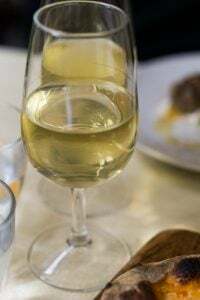 j’aime lire vos pages de cuisine, de recettes et surtout les commentaires. I have seen the Kugelhopf cakes in Alsace Loraine and all over France . Maybe it’s time for me to make one. I have been making Kugelhopf based on the first recipe you posted and noticed that you reduced the amount of yeast and added sugar to make the sponge. You also reduced the total amount flour in the updated recipe. Any particular reason for these changes? Jackie: Jerusalem bagels are long, lengthy bagels, often covered with sesame seeds and not boiled before baking, like New York bagels. I don’t know much about their origins, but unlike their counterparts elsewhere, they’re large enough to be broken into pieces and used for dipping, rather than the other bagels, which are usually meant for one person to consume. Adelaide: I updated a lot of the recipe to reduce the amount of bowls used (less cleaning up afterwards!) The yeast was reduced to the amount found in a typical packet of yeast (2 1/4 teaspoon) so people wouldn’t have to open a second packet just for another 1/4 teaspoon. The sugar was added to the sponge because yeast feeds on sugar, who why not add it then? And I reduced the flour because I wanted a softer dough that was more airy, so added a whole egg and reduced the flour, while adding a bit more butter. 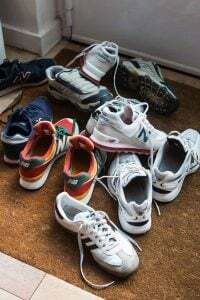 Phyllis: Sometimes you can use the Wayback Machine (it’s a website, you can Google to find it) to see cached versions of older web pages online. float: I’ve not see a chocolate, or chocolate-marbled kugelhopf, but that sounds intriguing! We were actually discussing over dinner last night why a number of people spend a lot of time (often incorrectly) insisting where something comes from. Most foods that we traditionally think are from somewhere, are from somewhere else – foie gras is from Egypt, coffee from Africa, pasta from China, bagels from Poland, hot dogs from Germany, croissants from Austria – so am not sure why everyone wants to claim foods as “theirs.” I get a number of messages from people insisting “real” bagels are from Montreal, coffee is from Italy, etc., and never figured out why. 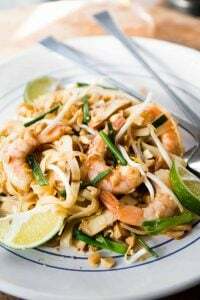 Over hundreds (and thousands) of years, foods have changed and even chilis are a later addition to Thai cuisine, although nowadays, many of us can’t imagine “authentic” Thai foods without them. Vandermeersch does have the best kugelhof in Paris (and easily the best I’ve ever had). In Strasbourg, we found most kugelhof to be fairly plain and dryish, like a panettone. But applying some liquid glaze does turn the ordinary to the magical! Even if your recipe doesn’t call for it, mix up rum flavored sugar syrup and soak the kugelhof with it and even dust with a bit of sugar. It’s wonderful. Leftover kugelhof, if they last more than a few days, make a decent french toast. It does make good French toast. 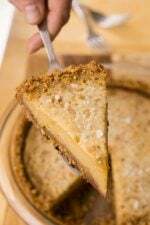 (And my version here does call for a syrup added, to be soaked into the cake after baking.) The kugelhopf at Venermeersch is excellent; I suspect they make a big vat of syrup and dip the entire cakes in, which is hard for a home cook, so soaking is a more reasonable strategy. I’m not a big fan of raisins, neither are my main consumers of baked goods. Is it best to omit these or could I replace them with something else (large pearl sugar)? dried currants are so good here in place of big, gooey raisins, that’s what we use. Yes, you could also use dried cherries or cranberries in place of the raisins, or diced dried apricots. 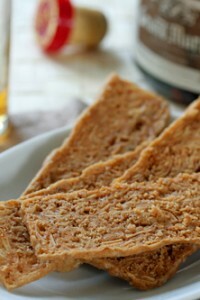 This type of bread, like makes my favorite buttered toast! Like panettone. Long-time lurker here, but needed to comment. I made this today in my family’s vintage kugelhopf mold (first time I’ve used it) – turned out great, thank you! However, 1/2 cup equals 120 mL (not 60mL as you have above). I started with 60mL and the sponge looked quite dry, so I added more. Hope this helps someone else attempting the recipe! Cheers! Thank you David – i myself reduce the sugar in most recipes, – i think the fact that i did not use all the glaze is the reason. I read your blog all the time and like it very much – admirring all the time and energy of yours. We’re drooling! When we visit friends in Offenburg, we always make a Gugelhupf run across the Rhine to Strasbourg. I think we Northern Europeans have an appreciation for plain yeasted bread like cakes that others maybe don’t. I don’t make Kugelhopf often but do make a similar dough just as a loaf, with or without fruit. 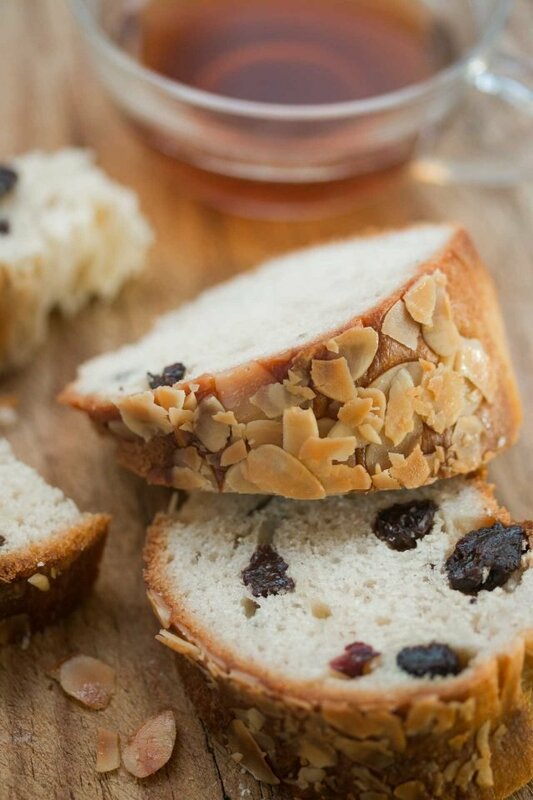 We call it ‘Kuchen-Brot’ (cake bread) and eat it with butter and home made jam – it’s not dry at all like that, and not meant to be like cake exactly. I guess it’s like a French Brioche almost :) Often on a Friday night, like last night, I make up the dough and then leave it to rise in the fridge ready for baking in the morning – it works perfectly and means no need to get up early for a deliciously scented home and breakfast the next day. I’d love a classic Kugelhopf pan but they’re hard to come by here in Australia. 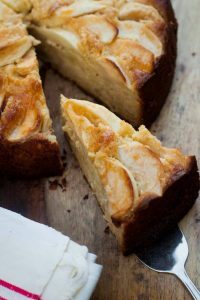 I’ve been meaning to try yeast-raised cakes – this looks great and I know it will be a trustworthy recipe! 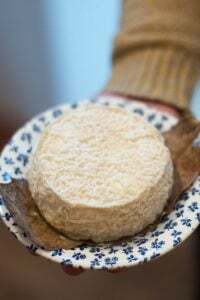 Tried your recipe in the earthenware molds we had brought home from France – – excellent! We are consistently pleased with how well your various recipes turn out. Thanks for all the time and effort ! !